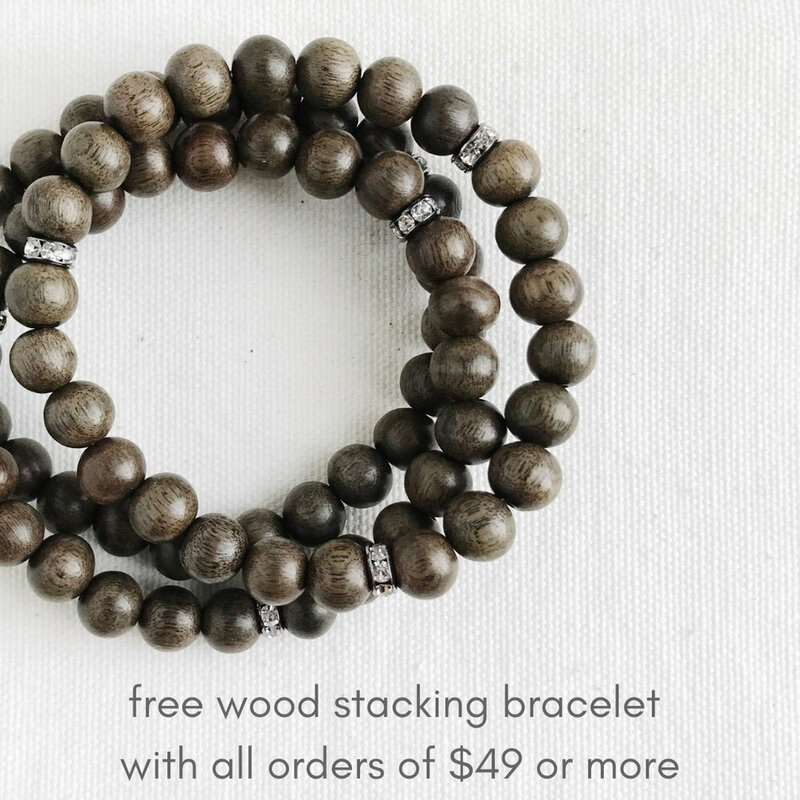 Receive a free, wood stacking bracelet with any order of $49 or more. No code necessary, the bracelet will be automatically added to your order! Thank you for signing up! Please, CONFIRM your subscription in your inbox. Be Part of Our Insta-Fam!